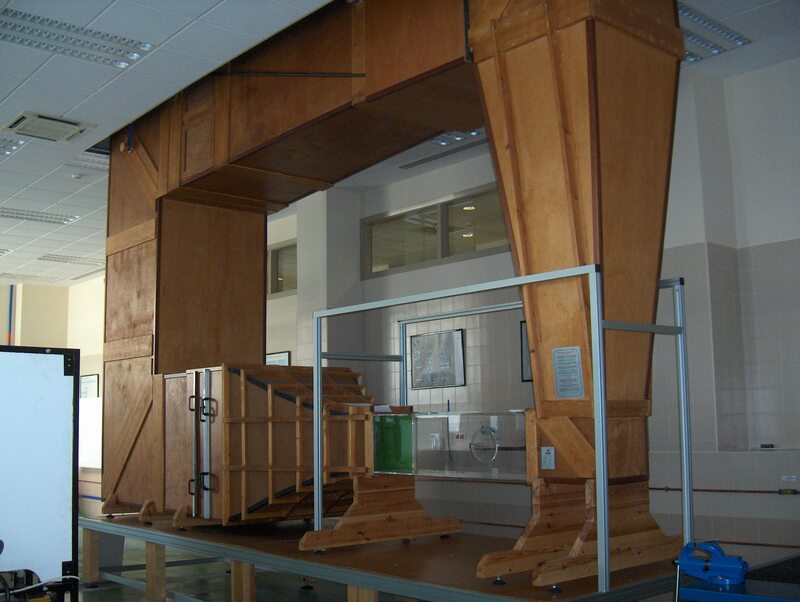 Among our lab facilities we count with two wind tunnels. 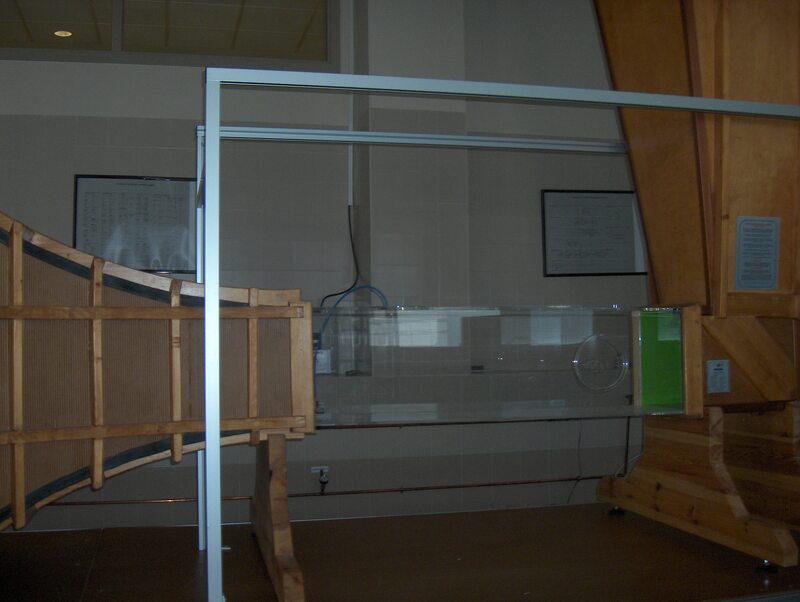 The horizontal wind tunnel (closed circuit) has a 40 cm x 40 cm cross section and 2 m long test section. The flow is generated with a 5kW fan, having a turbulent intensity lower than 2%, and reaching the maximum wind speed a value of 40 m/s. In order to achieve a high level flow uniformity and improve it when needed, a system of interchangeable grids and honey combs is provided at the inlet. The vertical wind tunnel (below) was designed following the same low turbulent intensity criteria (here TI<1%), but covering now a lower range of velocity. A 1kW fan generates a flow whose maximum velocity is 4m/s. The tunnel has a 20cm x 20cm cross section and 1.2m long testing section. 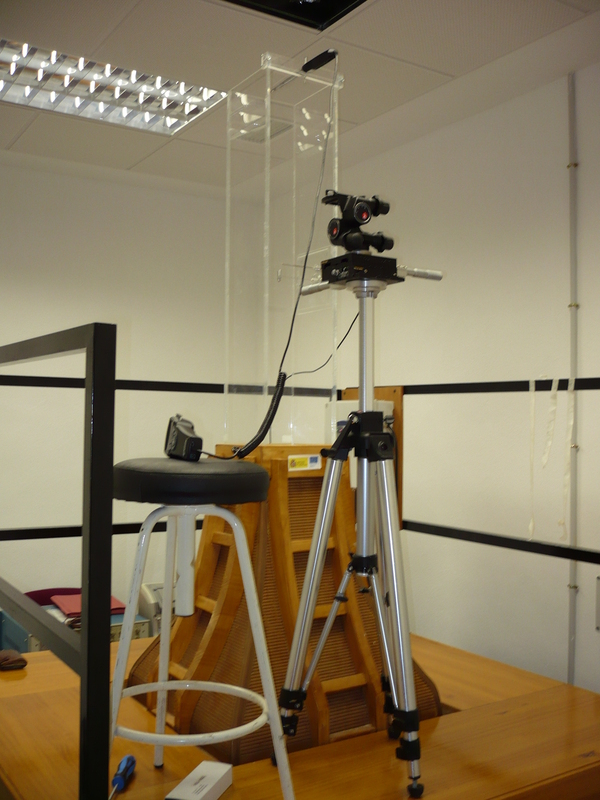 The verticality allows us to perform experiments with density differences without encountering floating effects. In both tunnels we can carry out visualizations and measurements with hot-wire anemometry, laser Doppler velocimetry (LDV) and particle image velocimetry (PIV).